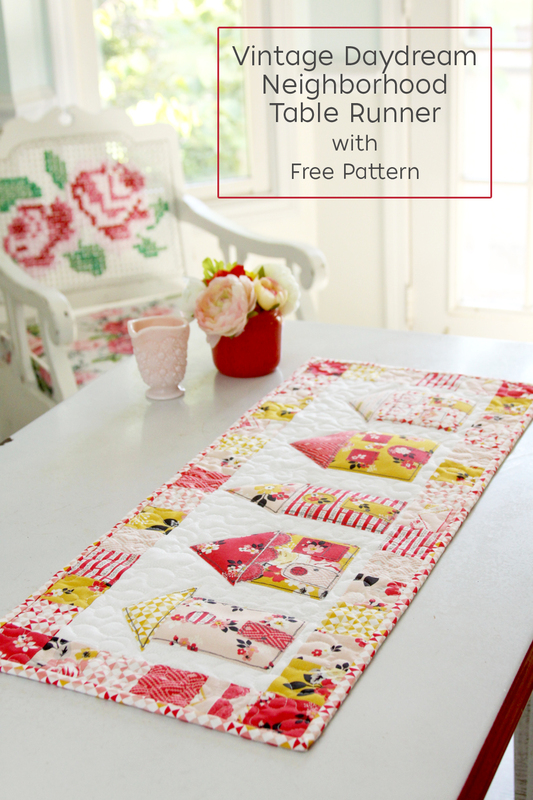 I have a fun new fabric line to show you today! 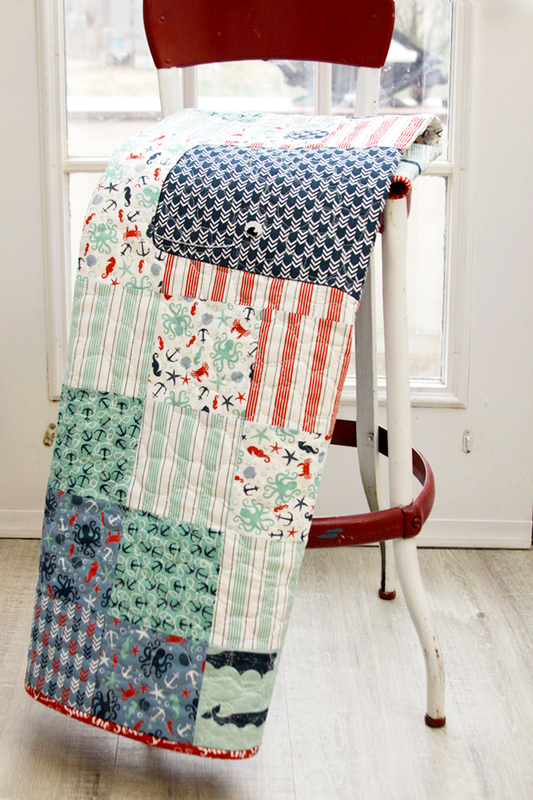 The line is called By the Sea from Dani Mogstad for Riley Blake Designs and it’s so fun! It’s filled with whales, anchors and all sorts of nautical cuteness. 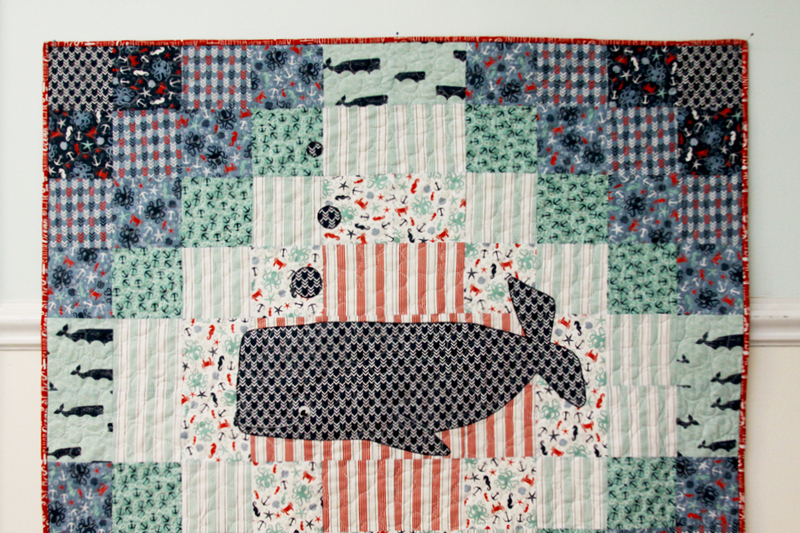 I made up this sweet Nautical Whale Baby Quilt with it and I love how it turned out! I made up the quilt with a simple charm square pattern and kept the darker fabrics to the outside of the quilt and lighter in the center. 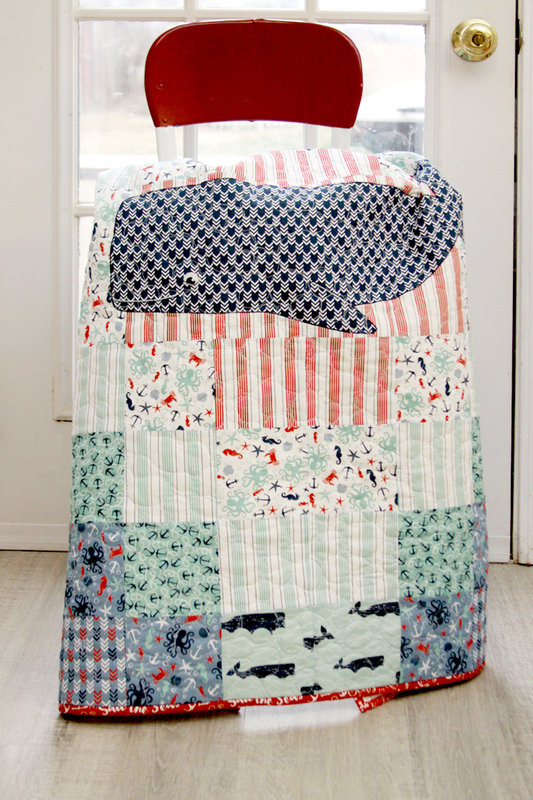 I added a fun whale applique in the middle – he’s super easy to sew on and he has a cute little smile! Sew your squares together in rows, then sew each row together. Print out the whale pattern and tape it together. Cut out the whale shape, eye, and bubbles. 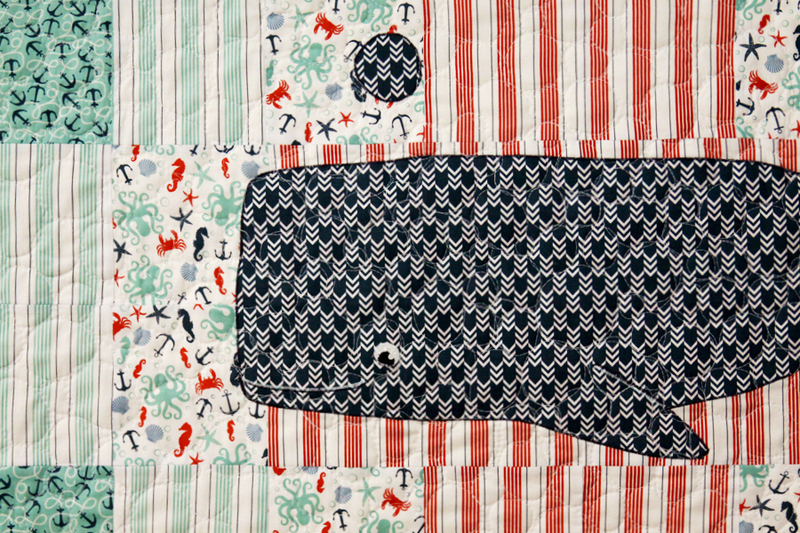 Iron the fusible webbing to the back of the whale fabric and cut out the whale and bubbles. 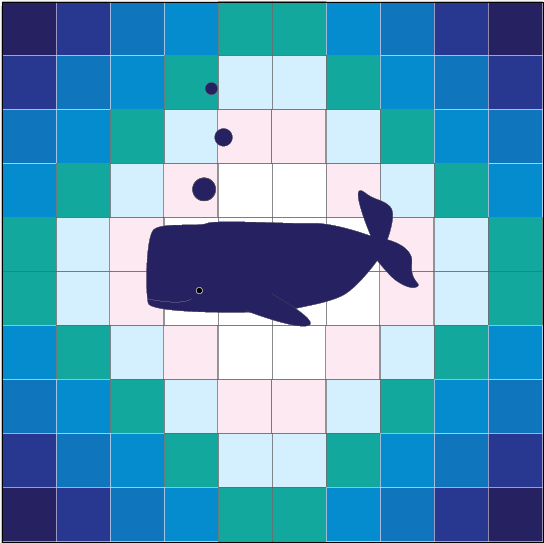 Iron the whale and bubbles to the quilt, using the above image as a placement guide. Applique the whale and bubbles with a zig zag stitch. 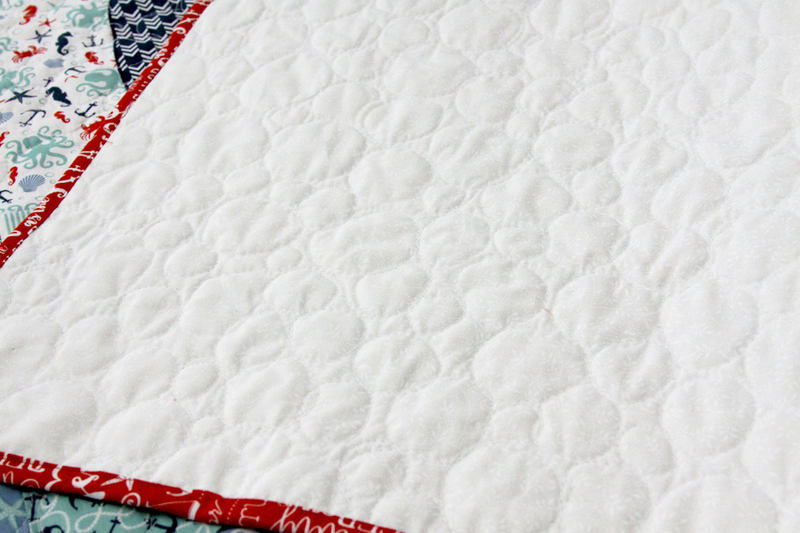 Layer together the backing, batting and front and quilt as desired. I used a simplified bubble stitch. It was my first time and I think I can definitely use more practice, but it was fun to do! 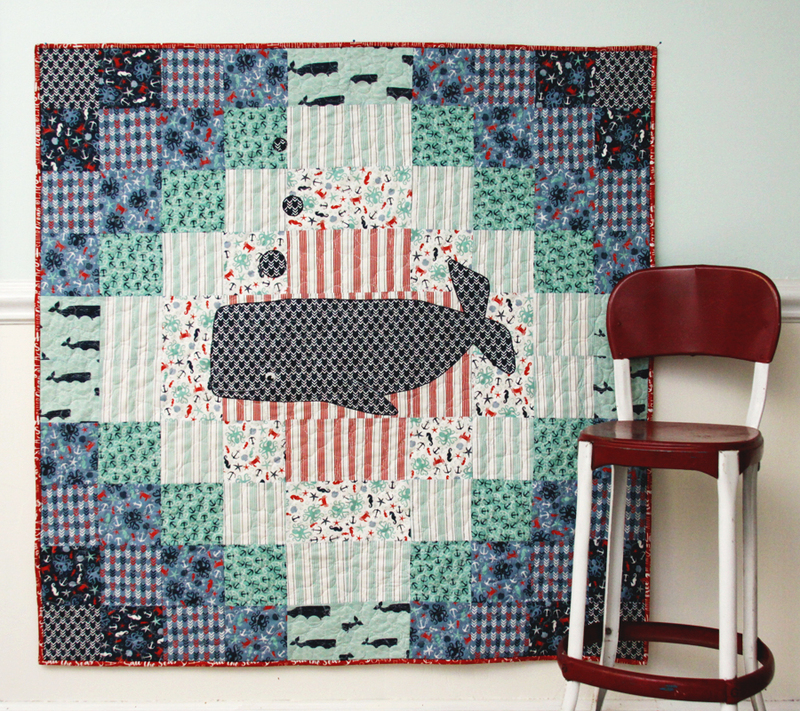 Finish the quilt with binding and you’re all ready to show off your cute new whale quilt! By the Sea should be in quilt shops soon – it’s a fun nautical print and I think it would be so perfect for baby gifts and lots more! I am not a quilter, but I do enjoy seeing what you do. This has to be one of my favorites! 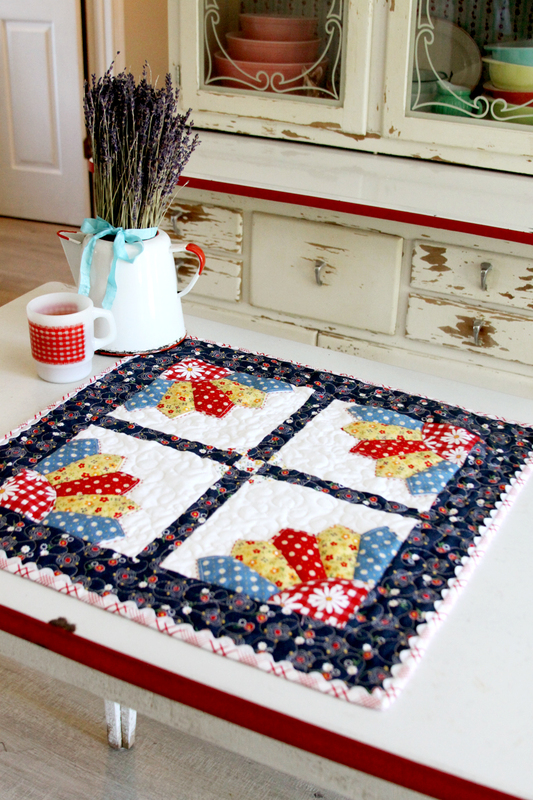 I’m not a quilter either, but now I wish I was, this is just adorable! I’m not a quilter, but now I want to be! This is the most incredible quilt I’ve ever seen! Gorgeous. 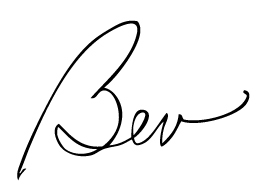 Wow, that came out great. So adorable!